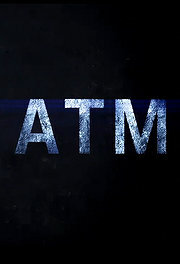 Review: After leaving their company Christmas Party together, David Hargrove and Emily Brandt's impromptu first date takes an unexpected turn when their coworker, Corey, asks them to make a late-night stop at an ATM. What should be a routine transaction turns into a desperate struggle for survival when an unknown man appears outside the vestibule. With the wintry temperatures dipping below freezing, and the morning sunrise still hours away, they have no choice but to play the man's deadly game of cat-and-mouse.